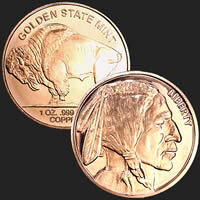 The Golden State Mint Morgan Round has a likeness to the Morgan dollar a United States dollar coin minted from 1878 to 1904, and then again in 1921 Named for its designer, United States Mint Assistant Engraver George T. Morgan. 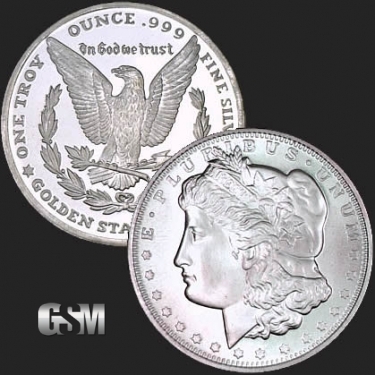 This mint fresh beautiful round contains 1 full ounce of .999 fine silver bullion. 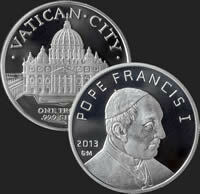 The obverse (front) depicts a profile portrait representing Lady Liberty wearing a Phrygian cap with the motto “LIBERTY inscribed in the headband. The reverse (back) depicts an eagle with wings outstretched and the motto “ IN GOD WE TRUST inscribed above it. 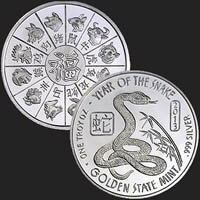 Golden State Mint’s hallmark appears on the bottom and the round's weight and purity stamped around the top, left and right sides.